Got a burning need for hotdogs or tealights? Then you probably know exactly where to get them. And our collective hunger for pork-filled baps and enjoyment of assembling flat-packed furniture means Ikea is expanding. Its 20th UK store just opened in Sheffield, creating 480 varied jobs in the city. 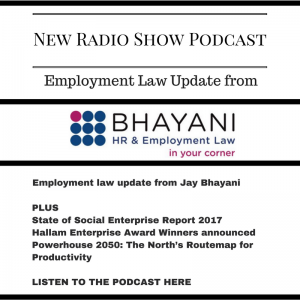 Good new jobs should be celebrated, says employment law specialist Jay Bhayani who joined me in the Sheffield Live radio studio on Friday to run through the latest updates in employment law. This week’s programme also includes key findings from the Social Enterprise UK Start of Social Enterprise report. Ryanair flight cancellations: can the firm ask their pilots, many of whom are self-employed, to defer their holidays? 39:33 a chance to sing karaoke with a live rock band; the winners of Sheffield Hallam University’s Hallam Enterprise Awards; wrapping up. Get valuable tips, advice, interviews and analysis to help grow your business or social enterprise, achieve your goals, and secure the media coverage you deserve. Join the VeitchVantage email list now.